“Where can we go for paella?” we asked the front desk guy at our hostel. He looked at us, bewildered. “Valencia?” he finally replied. Obviously, Seville isn’t the place to have this famous Spanish rice dish… so much for that, I guess. 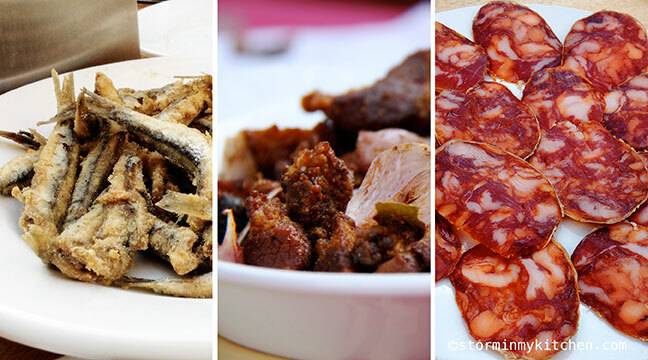 A self-proclaimed tapas capital of the world though, some of Spain’s most imaginative tapas can be found here. 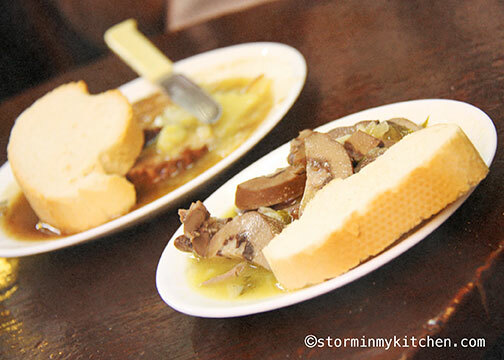 The most popular way to eat in Seville is to ir de tapas, go out for tapas. You can’t be in this city and not do a tapeo, bar crawling. A humble tradition turned international phenomenon. The simple bread and cheese (used only to cover the glass to prevent flies from entering) has evolved to fancier feasts of foie gras and truffles. What used to go with the drink for free could actually be the star these days. 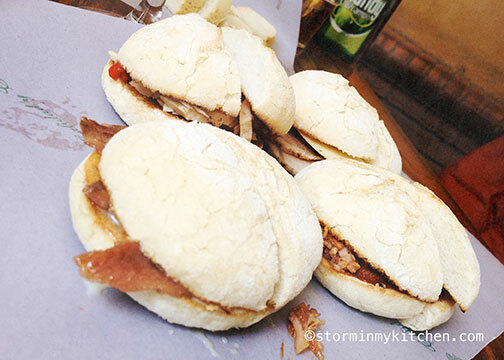 Anchoas con leche condensada (Anchovies with condensed milk), a curious combination caught our eyes on the menu, and so did the lomo y mansanas (salt cured pork loin and apple sandwiches). Interesting play of salty and sweet on crusty bread, the anchovy sandwich came out a winner although the ham and apples didn’t disappoint either. A restaurant with a pleasant atmosphere and friendly staff—a Filipino wait staff even got out to chat with us when they found out we were Filipinos. 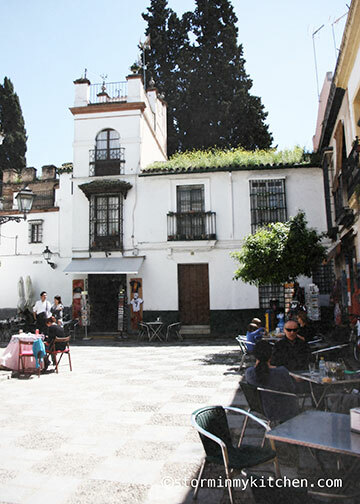 Close to Plaza Nuevo and Avenida de la Constitucion. Then we moved on to a few bars down. Sierra de Sevilla had Jamon Iberico (cured ham of the Huelva sierras) hanging at the rafters and that sealed the deal for us. 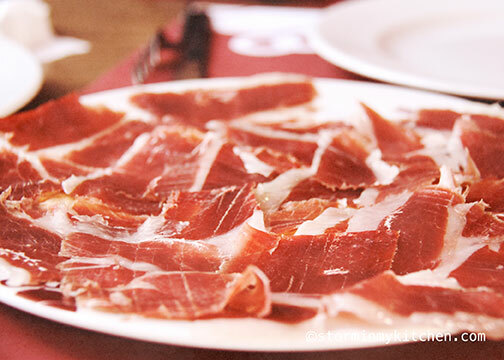 We found ourselves a table and ordered a raciones (a full plateful and not a small snack size) of this nutty cured ham sliced thin enough to melt in your mouth and a plate of Quezo Manchego from the La Mancha region. 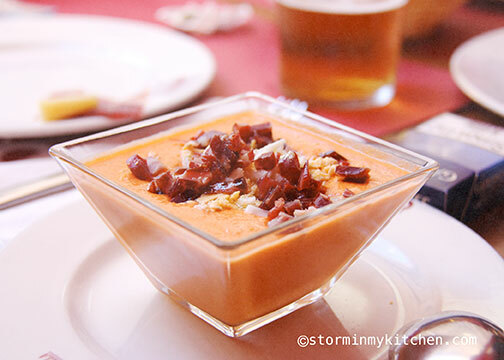 Being a hot region of Spain, Seville is home to gazpacho but instead of the famous chilled tomato soup now popular all around Europe, I was introduced to Salmorejo, gazpacho’s richer and thicker cousin. Topped with egg and Jamon Serrano, this creamy soup is sometimes used as a dip but is a lovely starter or even a light meal. I instantly fell in love with the fresh flavors of tomatoes, a hint of garlic and the fruity taste of olive oil blended together in this gloriously creamy cold soup. 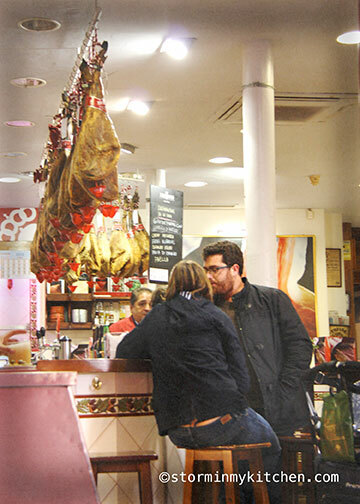 Eating and socializing is embedded in the Spanish way of life and mealtimes here needs a bit of getting used to. A simple toast and café con leche are good enough to start their day, but they will need a pick-me-up at 10 in the morning, then lunch somewhere between 1-4pm. Most bars or restaurants close between 4-8pm for the essential siesta. And so lunch ended on our 2nd bar hop. Walking out to Avenida de la Constitucion, we came across the gorgeous Adriatico building that housed Confiteria Filella. 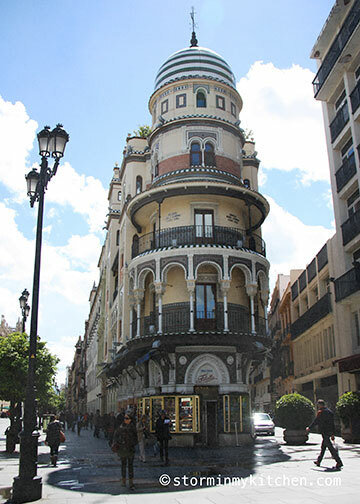 Unfortunately, on April 5, Filella Isabel Gomez passed on at 74 and with it this historical shop, hopefully temporarily because if it indeed shut its doors forever, what a loss this will be for the Sevillanos and its visitors. If you’re looking for a typical tavern where your orders are tabulated in chalk on the bar, look no further. 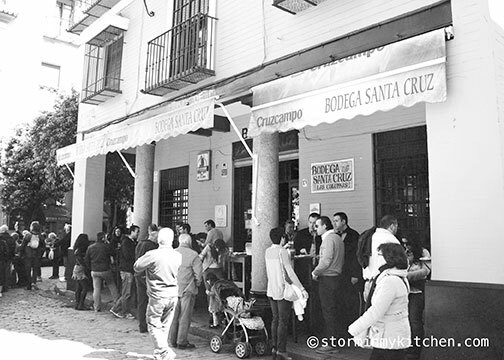 On the corner leading up to the Giralda and just steps off the Alcazar, is Bodega Santa Cruz. When a bar spills out onto the street, you know that this is where you want to be. With dishes such as Berrenjenas con miel (deep-fried aubergines with swirls of honey), Pringa, Lomo Chipiona and Alitas de pollo, you will not be disappointed. These were tapas that satisfied not only our palate but the pocket too. A good place to end after a tour of the Alcazar or the Giralda. We chanced upon this by accident looking to rest in between a few hours spent meandering the alleyways of Barrio Santa Cruz. 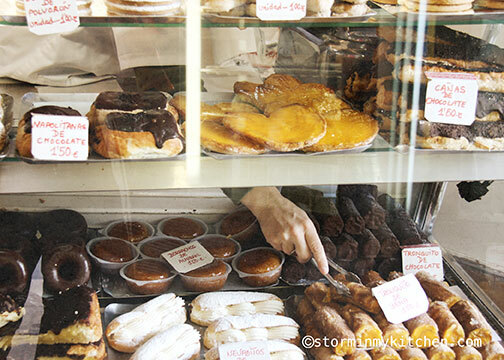 We thought to sit in the shadows of orange trees and bougainvillaea and enjoy the sweets from Filella with coffee. Then we ordered some tapas and before we knew it, it was time for dinner. It was a good place to be lazy and watch the crowds. 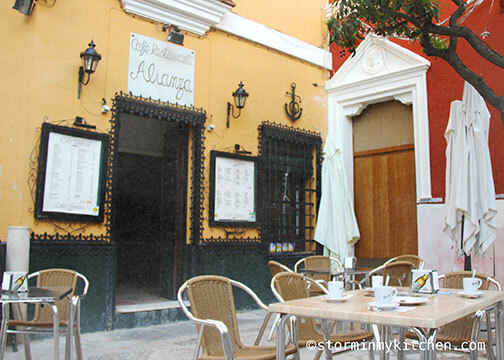 Café Alianza is in a charming hidden square of the same name. They boast of having the best Rabo de Toro in town. 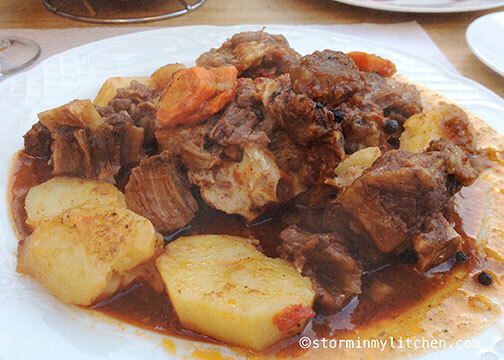 Falling off the bone soft, flavored wonderfully with tomatoes, garlic, olive oil and wine, this oxtail dish could indeed be what the owner claims it to be. 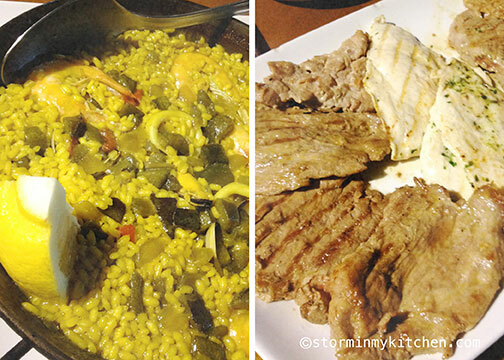 Now, who says you can’t find good paella in Seville? 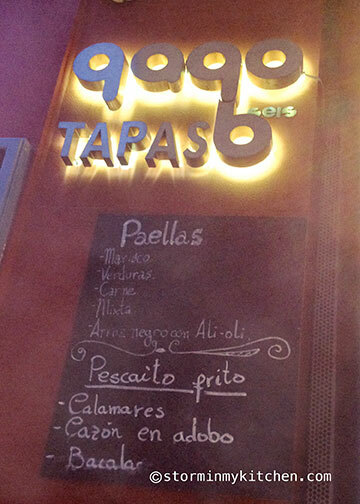 Along Calle Mateos Gago, we saw this menu board and decided, what the heck… we’ve been craving. Maybe Seville isn’t the best place for paella and this may not be the best paella but it sure did satisfy that craving—it was nice, moist and crusty. With this plate of grilled meats (beef, lamb and chicken), our meal definitely did not disappoint. 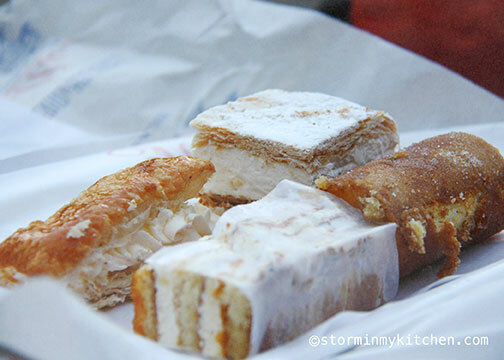 One of the many joys of traveling in Spain is the food. 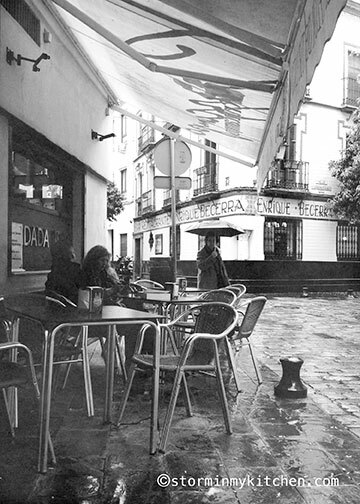 Seville being the heart of Andalusia has an abundance of bars and restaurants to choose from. There is no lack of recommendation, the list is plentiful but the fun is in the discovery. Walk around and go with the flow, you’ll never know what you might find. 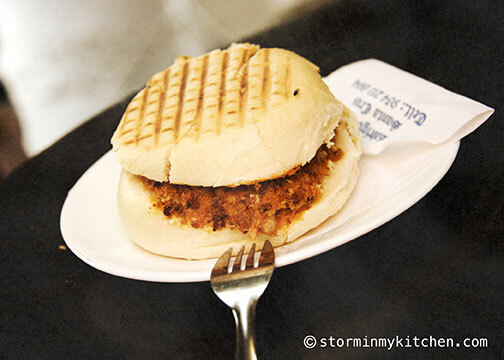 You are currently viewing the archives for August, 2014 at Storm In My Kitchen.